Patriarch Kirill of Moscow and All Russia has arrived in Smolensk on a two-day visit, whose significance for both Orthodox and Catholic Christians is hard to exaggerate. During his stay in Smolensk, a city about 300 km west of Moscow, the Patriarch will take part in Divine Services held in local churches and consecrate an Orthodox temple at the ill-famed Katyn forest where thousands of Polish officers were summarily executed by Stalin secret police in April and May 1940. Narrator: The Katyn memorial complex located in the Katyn forest some 20 kilometers from the Smolensk features at least 150 mass graves holding the remains of an estimated 14,000 Soviet and Polish nationals executed there. The tragedy had for decades been a major irritant, souring relations between the two countries. In an official statement made in 2010 the Russian parliament condemned the execution of thousands of Polish officers in Katyn as a crime committed by Stalin’s repressive regime. 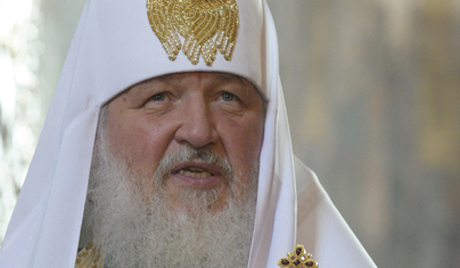 Patriarch Kirill will be visiting Poland from August 16 through 19.